A man suspected of stabbing nine people at a children's birthday party was expected to make his first court appearance Monday in Idaho. 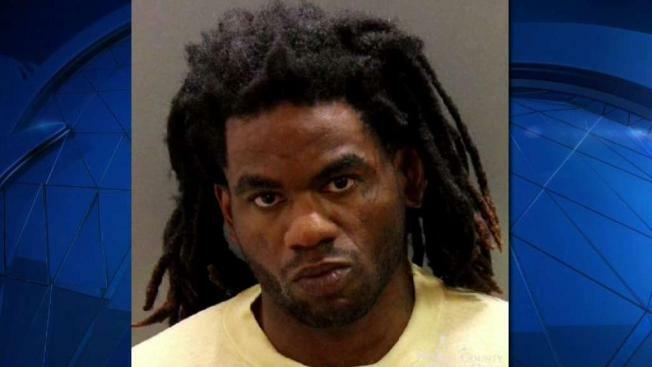 Timmy Kinner was charged with wounding six children and three adults in the Saturday night attack at a Boise apartment complex. The 30-year-old had recently been a guest at the complex but was asked to leave Friday over bad behavior, police said. Kinner returned the next evening and began attacking people, including several children who were attending a 3-year-old girl's birthday celebration and the adults who tried to intervene, Boise Police Chief William Bones said. The birthday girl was among the wounded. It was not yet known if Kinner had an attorney. The apartment is home to many refugee families. The victims included refugees from Syria, Ethiopia and Iraq. The police chief said investigators have not found any indications that the attack was a hate crime. Kinner is an American. News of the attack left Boise's refugee community and supporters reeling, and several online fundraisers were started to help victims. "The victims are some of the newest members of our community," Bones said Sunday. "This was an attack against those who are most vulnerable." The attack resulted in the most victims in a single incident in Boise Police Department history, Bones said. "The crime scene, the faces of the parents struggling, the tears coming down their faces, the faces of the children in their hospital beds will be something that I carry with me for the rest of my life, as will every first responder that night," the police chief said. Esrom Habte, 12, and Fathi Mahamoud, 11, were playing in the grass behind their apartment when the attack began. They ran for safety when they saw the suspect chasing people. "We saw a killer and didn't want to get stabbed," Esrom said. "We saw him saying, like, bad words and stabbing a kid and a grown-up really hard and a lot of times." The two ran into an apartment and hid in a closet with Esrom's two sisters and another child. They stayed inside until police told them it was safe. "I saw the police cleaning stuff, and then I came outside," Fathi said, adding that the victims are his friends. For some of the refugees, the attack revived traumatic memories of war and violence they had fled. The blood from the stabbings reminded Fathi's mother, Thado Aip, of the terror she left in Somalia, an interpreter said. A candlelight vigil was planned for Monday evening.